Mount Rothwell is to the north of the You Yangs Regional Park. 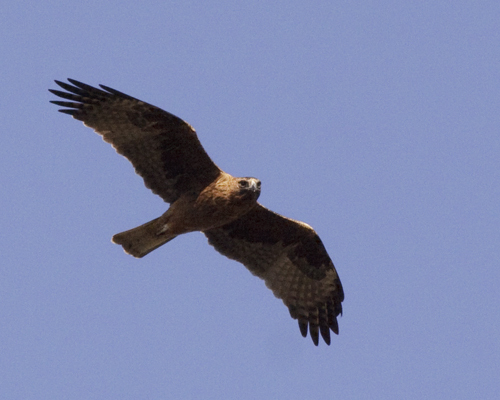 It is a 400 ha private property managed for conservation. Members of the Werribee Wagtails conduct quarterly bird surveys on the property. Some of the images on this page were taken during those surveys. Others were taken on a night visit. The above image shows part of the hill that is the highest part of the property. 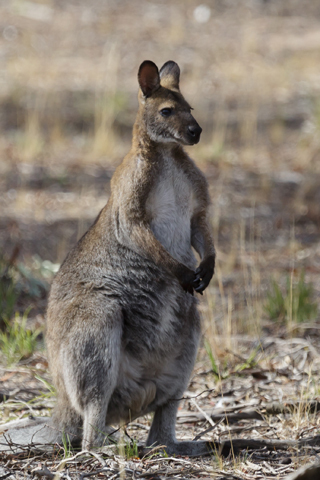 It offers wide views of the surrounding area and provides habitat for a number of marsupial species as well as birds and other small creatures. out in the middle of the day. 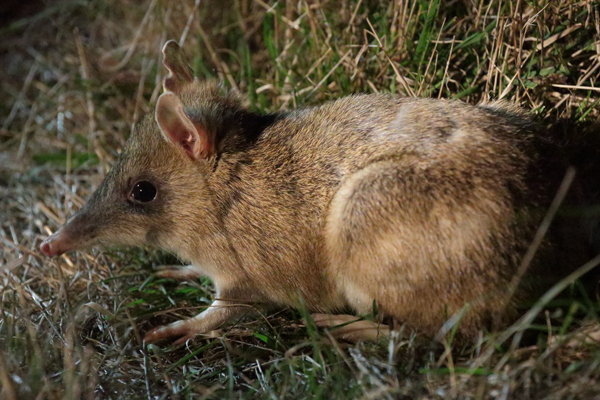 Right: Eastern Barred Bandicoot, photographed by torchlight at night, 27 April 2013. 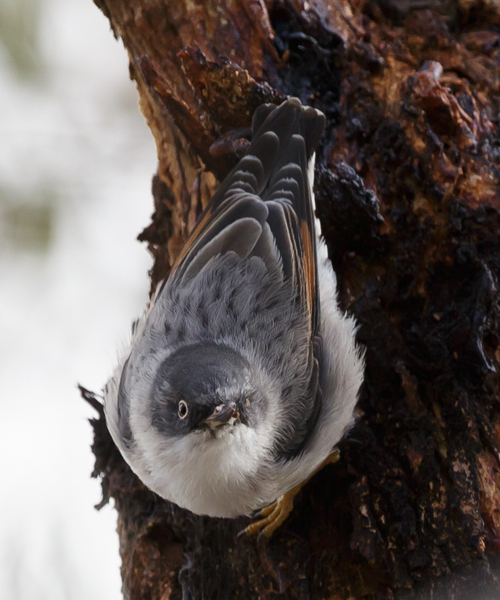 For its survival, this species needs to be protected from predation by cats and foxes. 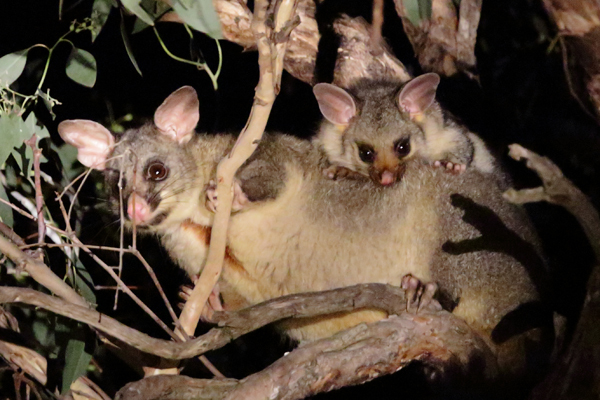 Left: Common Brushtail Possum at night by torchlight, 27 April 2013. 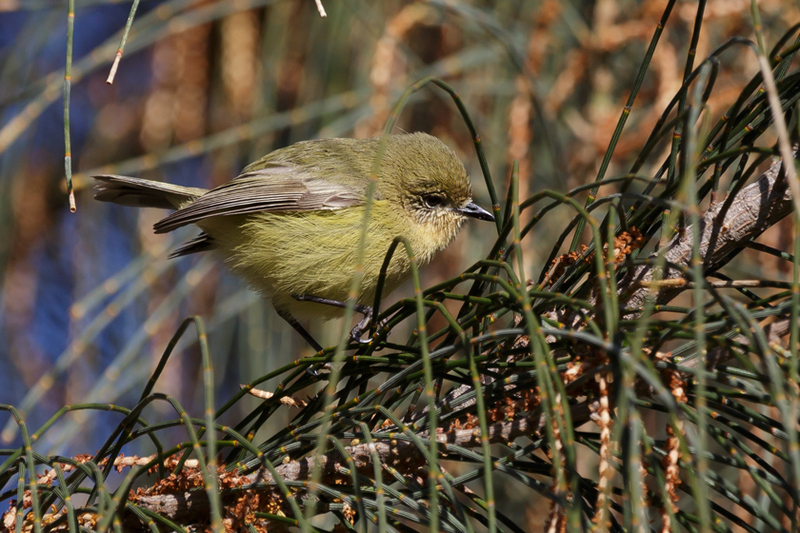 This species, common in many parts of Victoria, including in cities and towns, also does well at Mt Rothwell. 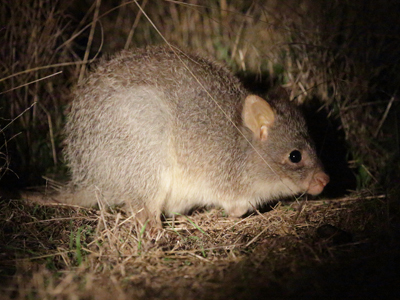 Rufous Bettong at night by torchlight, 27 April 2013. Male Red-necked Wallaby Macropus rufogriseus. 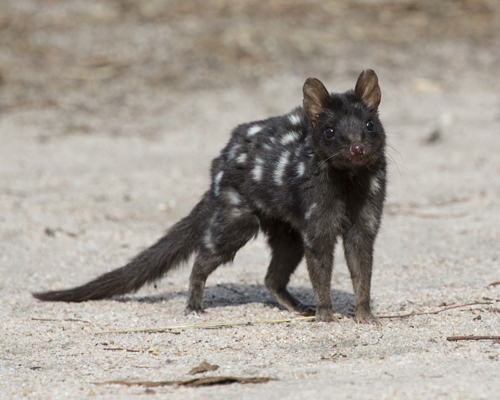 This species is widespread in south-eastern Australia. They are said to be nocturnal or crepuscular, but this one was out foraging during the day. I wonder if they are more comfortable out in the open in the terrestrial-predator-free environment. Jan 2016. Brush-tailed Rock Wallabies, above and below, 21 April 2013. 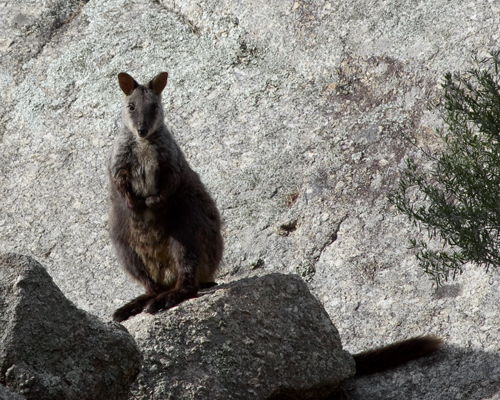 Very few Brush-tailed Rock Wallabies remain in the wild in Victoria. 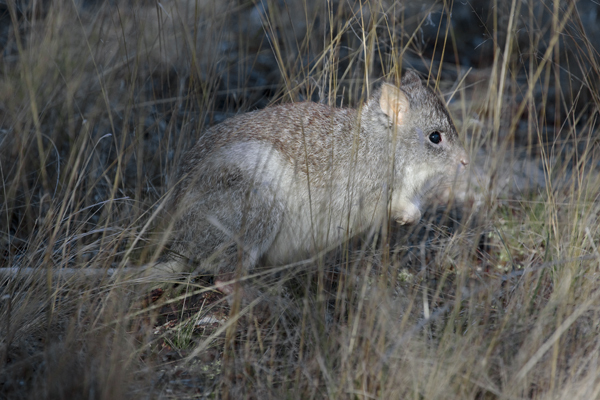 This is mainly due to habitat loss, predation and competition from introduced species. The original Brush-tailed Rock Wallabies at Mt Rothwell came from New Zealand where the species had flourished on a small island since being introduced in the 1800s. 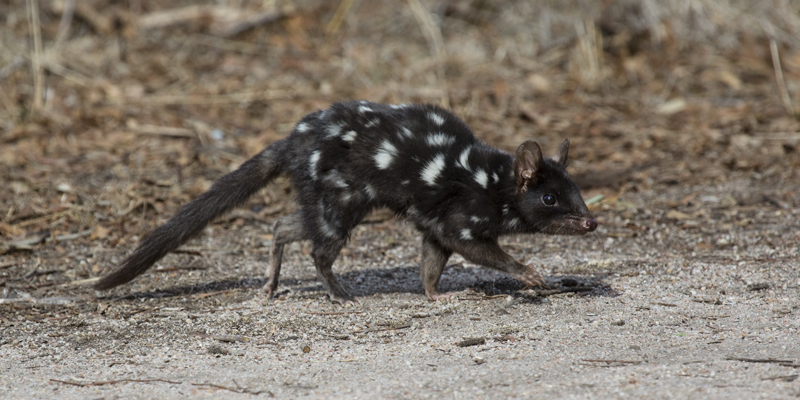 With suitable habitat at Mt Rothwell and the absence of introduced predators, numbers have increased well from the original eight. 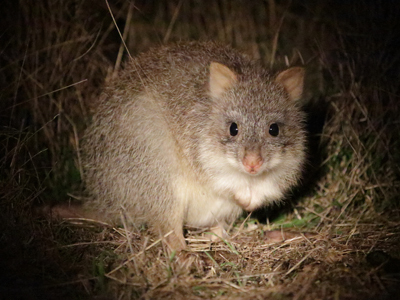 On a night visit on 28 April 2013, our guide counted more than 30. 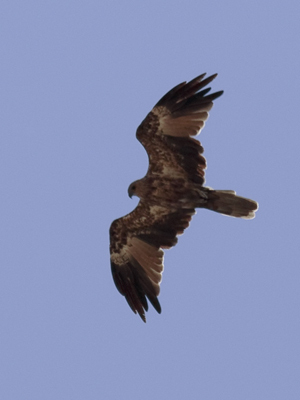 Whistling Kite, 20 Jan 2013. 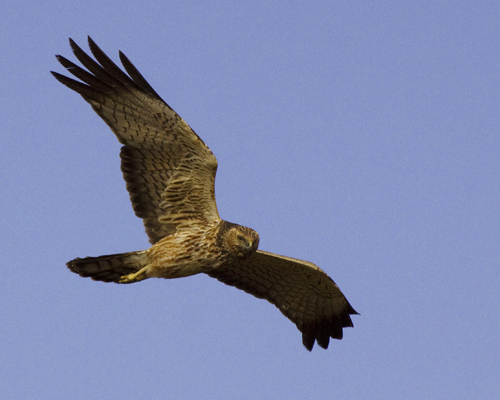 Young Spotted Harrier flying low, 15 July 2012. 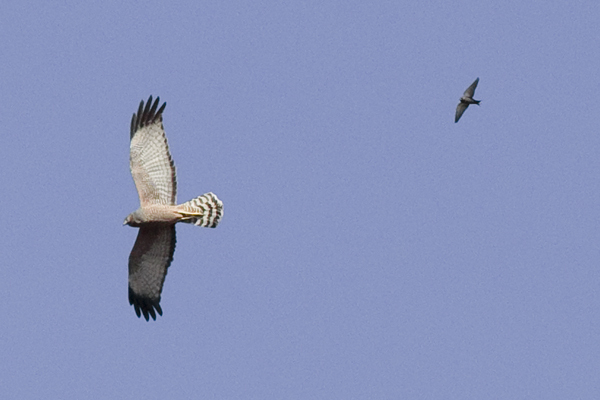 Spotted Harrier being pursued by Dusky Woodswallow, 21 April 2013. 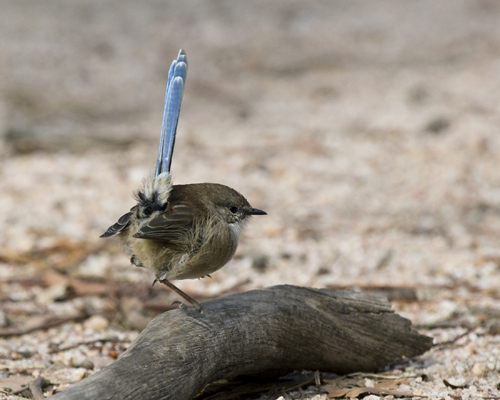 This is a male in eclipse plumage. and lack of red around the eye. A flock of Varied Sittellas worked busily over trees by the track on 17 April 2016. They barely stopped moving, but this one looked up for a moment. The property and all of the You Yangs range is extremely dry at present.